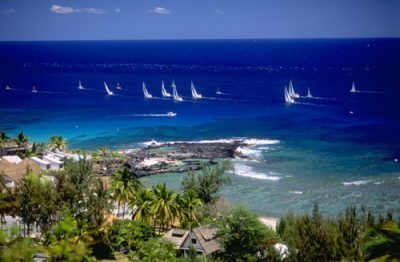 Do you want to sail the Reunion Island? In this post we will try to help you to get to know the secrets hiding in the Reunion Island. Situated in the Indian Ocean, the Reunion Island offers various landscapes that are worth admiring. You can contemplate the beauty of the island while sailing on a sailingboat. Most charter companies are located in the port city of Saint-Gilles and also in Saint-Pierre. You can rent boats with or without a skipper for fishing or simply chugging. Generally, in the southern hemisphere the winds are more mild and allow calm sailing. So you can enjoy a nice time looking at the coral reefs and also you can see the sea turtles, the dolphins, the whales (if the season allows it) and other tropical fishes. The warm tropical waters are among the most crystallline. They allow an impressive view over the submarine life. One idea for an activity is doing a picnic, diving or simply enjoy a sun tanning. Also some charter companies propose to rent a jet ski or other elements for watersport. In this way you can totally enjoy the sea and the Indian Ocean. Therefore, the turquoise waters of the Indian Ocean are a uncomparable destination.